Almost All Annual Physicals Measure Fasting Glucose. A1c Should Always Be Included But Is Not. More Things Should Be Measured, But Here Are The Health Implications of These Two. Glucose is the most common “simple” sugar. Fructose is the second most common one. Together they account for the bulk of sugar you consume. All the starch you eat is converted directly to glucose, and gets quickly into your bloodstream. Carbohydrates from vegetables do as well, but more slowly. Table sugar and fruit are about half glucose and half fructose. If these two are combined it is called sucrose. It will be split into the two before it gets very far into your digestive tract. 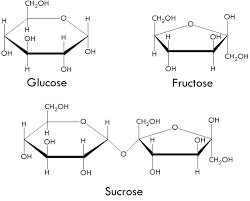 Fructose is stored by the liver and converted to glucose. So for all practical purposes all starch, all sugars, end up as glucose. Glucose is energy. It is one of the four types of energy the body’s cells can run on, the other three being fat, protein, and ketones. Protein can be used for structural uses and won’t be burned for energy if other sources are available. Fat is the preferred fuel for most cells, but not the brain. 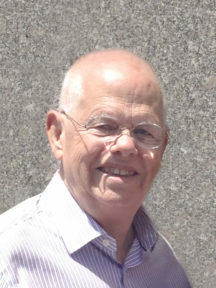 The brain cannot run on most types of circulating fat. The brain has an extra layer of protection against various toxins and creatures like bacteria and viruses. It accomplishes this protection by invoking a fine mesh called the Blood Brain Barrier. Glucose can make it through, but most fats cannot . (Small fats like butter fat – butyric acid – can. Cream in your coffee? Yum!) Because of this, the body tries to maintain a circulating level of glucose equal to around 80 mg/ml. (Outside America 4.4 mmol/l). If there is more glucose, then the body will get rid of it by first storing it in the liver, then forcing the muscle to use it, then storing it as fat. If the glucose is low, the liver will dump some into the bloodstream from the supply it stored earlier. The liver can also make some sugar from fat. The annual physical normally measures the fasting glucose; sometimes they add A1c. They then go on to confuse the average glucose measurement by calling it A1C or Hemoglobin A1C. It gets this strange name because it is an indirect measurement. However, a lot of the other blood measurements are indirect as well, such as LDL cholesterol, and they call those ones by the name we wish we could measure. But A1C is given as a percentage. Below 5% is great, and Above 5.7% is pre-diabetic. But what does this mean exactly? Glucose, being a sugar, is sticky. Some of it sticks to hemoglobin, the red stuff in red blood cells. The higher the average glucose, the more that sticks. So they look at the hemoglobin and determine how much glucose is stuck to it. 5% means 5% of the hemoglobin molecules had a glucose molecule stuck to them. This can be directly related to average glucose. Average glucose would be the number you would get if you measured glucose every 5 minutes and averaged. It should be low (80 mg/dl) a few hours after a meal, but usually shoots a lot higher right after a meal. So here’s a little chart to convert the percentage A1C to average glucose. Most doctors will say A1C of 5.5%, meaning 111 mg/dl or lower is OK. We would say “don’t skate on thin ice.” Below 5.2% (103 mg/dl) is safe, and below 5% (96 mg/dl) is desirable. Likewise, many doctors say a fasting glucose below 100 mg/dl is OK. Not so. Try to get it below 80 md/dl. It’s not just adult onset diabetes. Glucose seems to be a major player in most degenerative disease. The plaque that gums up arteries, causing atherosclerosis, typically has some glucose components in it. Excess sugar raises triglycerides, a major heart risk factor. Excess glucose leads directly to insulin resistance, weight gain, and if carried far enough, adult onset diabetes. The brain damage seen in Alzheimer’s tends to have glucose products present. Finally, glucose is a cancer promoter. Cancer cells preferentially – strong bias – survive on glucose, and they need a lot of it. 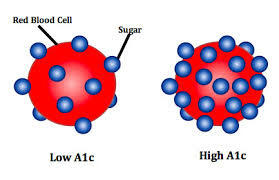 Fasting glucose and A1C are mainly diet-driven numbers. Cutting down on starch and sugar will (immediately) lower them. For many, including both of your blog writers, that cut will have to be 100%. We just don’t process starch and sugar well, and the Western diet is loaded with them. Remember the Food Pyramid recommended 11 servings of cereals and bread per day! This is suicide in slow motion. Before the Food Pyramid, there was no adult onset diabetes epidemic. So it’s simple. Cut the sugar, cut the starch, measure. You don’t have to wait a year to find out. Get a test after three months. Get your doc to give you a prescription, or get one on line. These tests cost around $25. Isn’t no sugar/starch dangerous? Couldn’t sugar get too low? 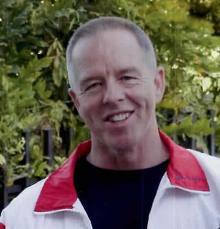 If you are an adult onset diabetic that takes insulin, this is a possibility. However, it means you have so successfully cut sugar that you don’t need insulin anymore. But taper down under your doc’s guidance. If you have lowered you starch/sugar intake enough to have this risk, you have basically won the battle, just get off the insulin. OTHERWISE, it’s fine. No sugar and no starch will not do any harm at all. If it did, we wouldn’t be here. Inuit still eating the traditional diet get almost none. Many other hunter gatherer tribe get almost none. There are still around 200 tribes, and we are genetically identical, so there is no “they are adapted, we are not” sort of story. What about the brain needing sugar? Your body is way ahead of you. Whenever the brain needs something, it gets first dibs. Muscles and other cells aren’t allowed to use glucose unless there is a surplus. Plus the liver has five ways to make glucose. But even if this fails, the liver has another trick up its sleeve. It will convert fat into ketones, and the brain runs fine on these. Perhaps it runs better. People with Alzheimer’s show marked cognitive improvement when placed on a ketogenic diet (practically no carbs at all). Also people who suffer nearly uncontrollable seizures have many fewer seizures on a ketogenic diet. We get far more sugar and starch than we are “designed” to handle. Even amounts that seem small may overload us and send the glucose numbers dangerously up. We simply aren’t evolved to deal with excess starch and sugar. If you cut down, your A1C and fasting glucose numbers will drop. This is highly desirable. In fact, it is hard to avoid degenerative disease if these two numbers are not under control. Note that if you cut, you will crave carbs for perhaps 4-6 weeks, maybe as long as 12. 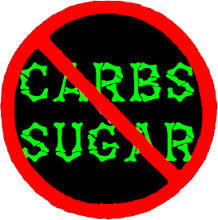 This is because your cells need time to adjust to switch from carb burning to fat burning. But they inevitably will, after which, carbs and sugar will seem rather funny tasting. You will also weigh less and have more energy. Is there a measure of uncertainty with blood tests like A1c? Coming from a statistical background, I wonder about the variability in a measure (as well as other sources of variation involved – measurement technique, random error, etc…). So an A1c of 5% might be 5% +/- ??%. MY A1C HAS VARIED FROM 5.6 TO 6.1, AND MY NEW LAB SAYS THAT 6 (NOT 5.7) IS THE LIMIT OF NORMAL,AND 6.1 AND ABOVE IS ABNORMAL. SO, IS IT TRUE THAT IT ALL DEPENDS ON THE LAB TO TELL WHERE THE DANGER ZONE BEGINS?? Having read your book and followed its recommendations and the cookbook for about 6 months (3 blood test periods), I’m doing great with the lipid management and stress management groups. I am finding that the fasting glucose is the toughest to change. With cutting out all sugar and grains except 1 weekly English muffin for Sunday breakfast, and northern fruit (frozen, unsweetened) in a breakfast smoothie, A1C has dropped from 5.5 to 5.3. But, fasting glucose has been the same every time for over a year – 88. I think the fruit may be the cause, but it’s not easy to find solutions for breakfast that my spouse will eat, too. what about people cutting carbs who are borderline underweight and have difficulty gaining weight? I.e. – me. The A1C has been for many years at 5.2 and now moved to 5.6. But I keep being urged to eat carbohydrates, because of my weight. Cutting them and eating protein, fat and vegetables only (have been on a paleo diet for about 1 yr) has not helped in any way, rather made me thinner than heavier and made my blood tests worse – not better. I am not very good at digesting proteins and animal fats. Any ideas on how to change the diet? Many thanks!